Today I will bring you the information about one of the best kit lenses for Nikon – Sigma 17-70mm f2.8-4.5 DC Macro. This lens is called as “an good lens for the good price”. This is obviously true, because this lens example bring us the finest balance between price and quality. However im my point it can be still expensive for sure. 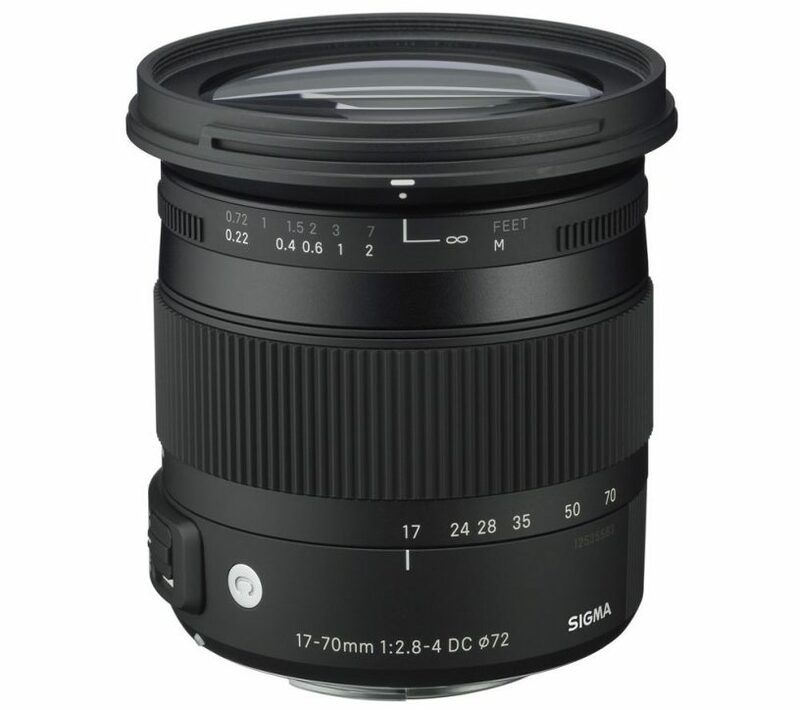 There are 2 editions of Sigma 17-70mm dc macros: f2.8-4.5 and HSM with f2.8-4.0 aperture. I had occasion to sample the first one with a little bit smaller aperture on maximal zoom. 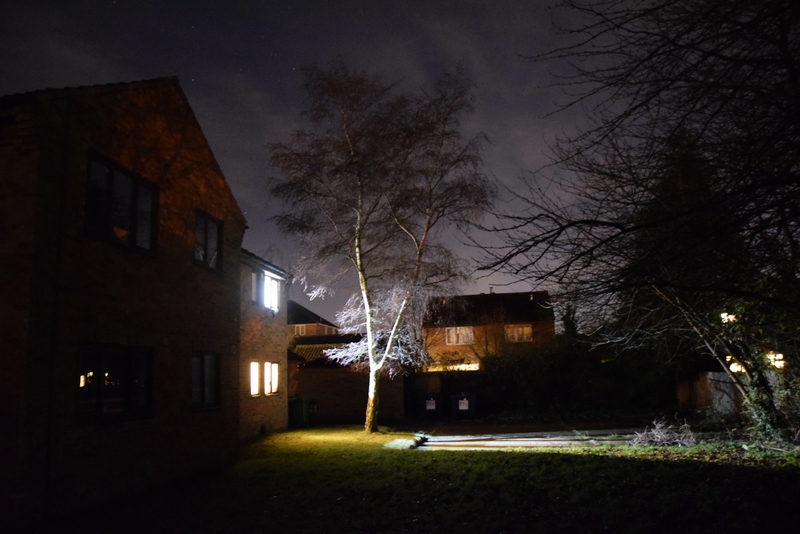 I have tested the Sigma 17-70mm f2.8-4.5 DC Macro within 2 issues basically: macro itself and night photography quality. Other issues also have been mentioned in this description, although I was not focused really on them, because they are described in the web. First of all let’s take look on the macro feature. 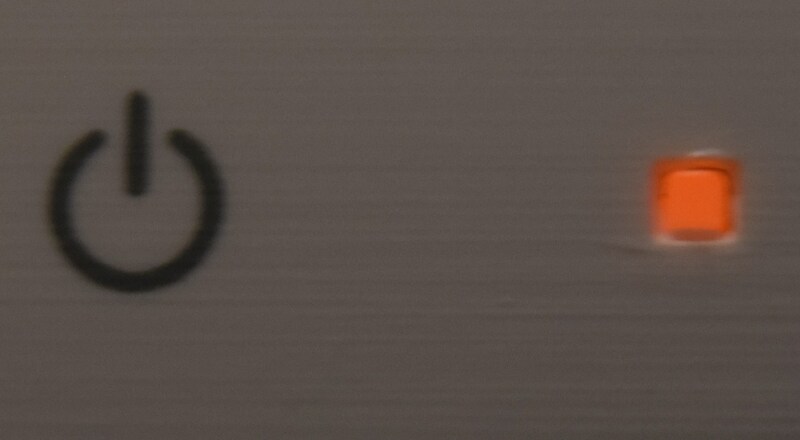 This lens have macro in its name, but sometimes the “macro” in the name doesn’t provide the real macro feature in the lens. 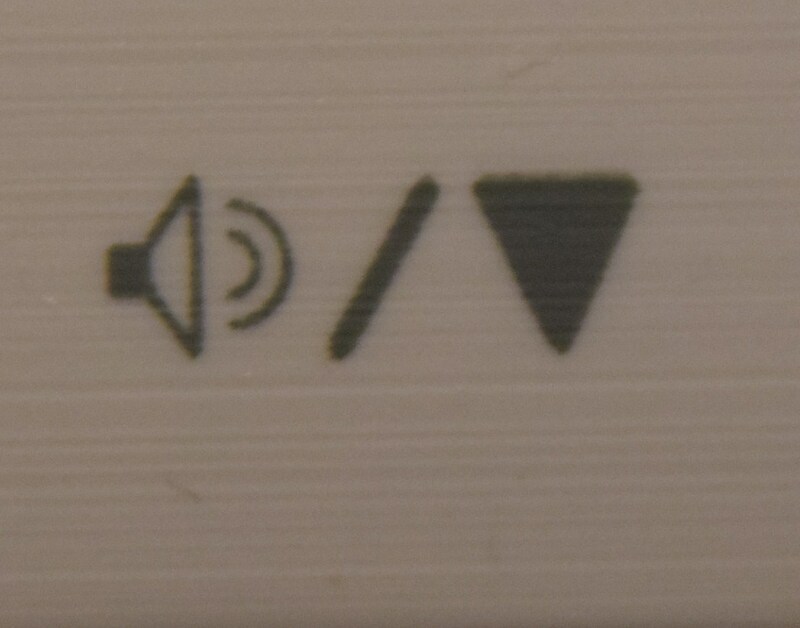 In case of this lens the macro works fine. To be honest this is the best macro, as I had occasion to see. 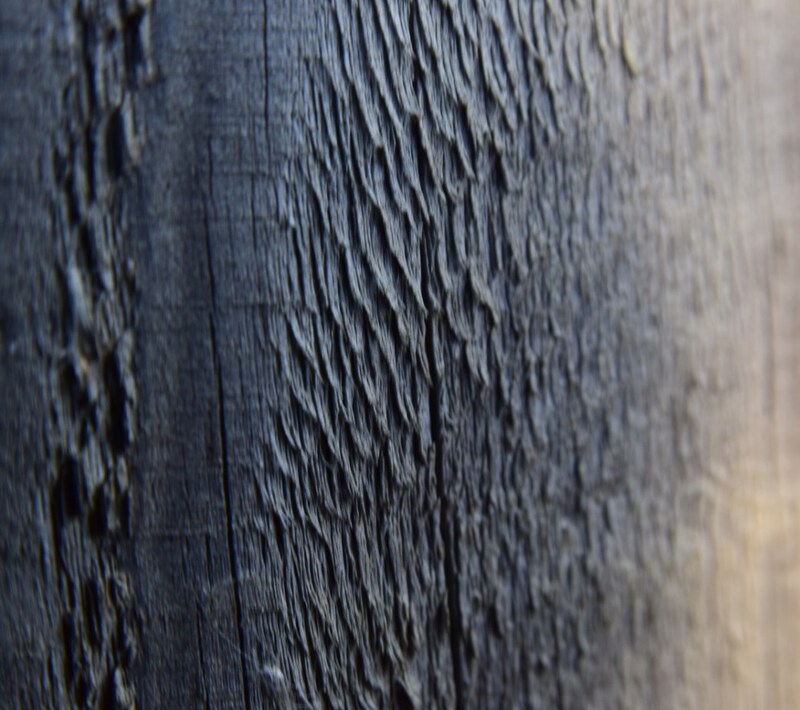 Recently I shown you the macro from the Sigma 24-70mm f2.8 EX DG Macro lens. The macro in Sigma 17-70mm f2.8-4.5 DC Macro is far beter than in the previous example, although when you enclose the lens to the object too much you may have problems with shadow. 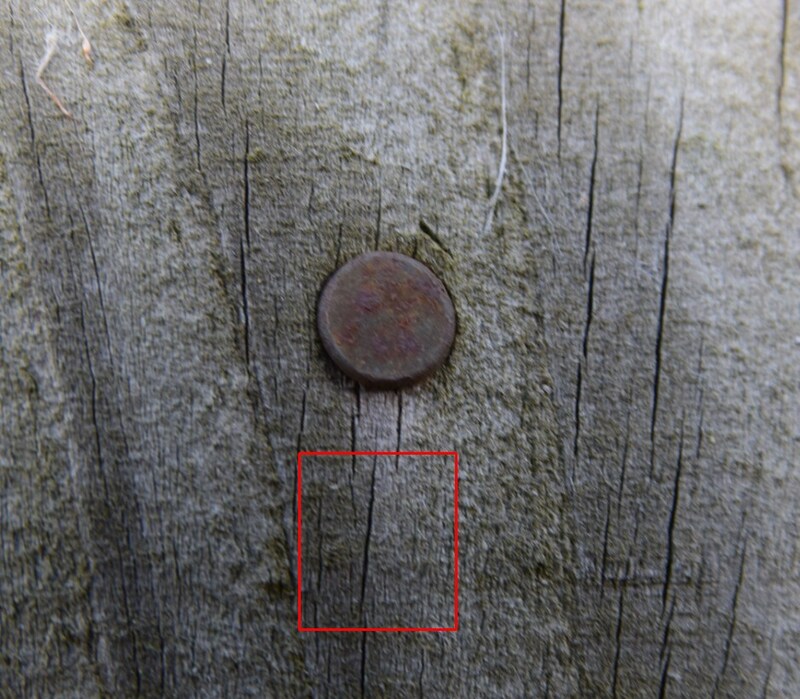 Enclosed camera with Sigma 17-70mm zoom lens cast shadow on the photographed object, so it cause problems with sharpness (Pic. 1, 2). Pic. 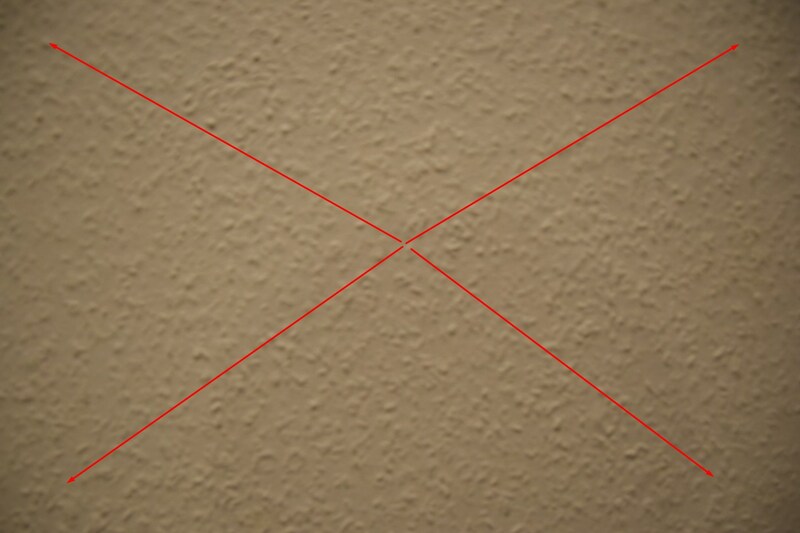 1 The Sigma 17-70mm DC Macro exmple: too close to the object with 70mm: yellow arrow shows sunlit area, grey arrow indicates the shadow area, 70mm, f.8 1/100, ISO 400. Pic. 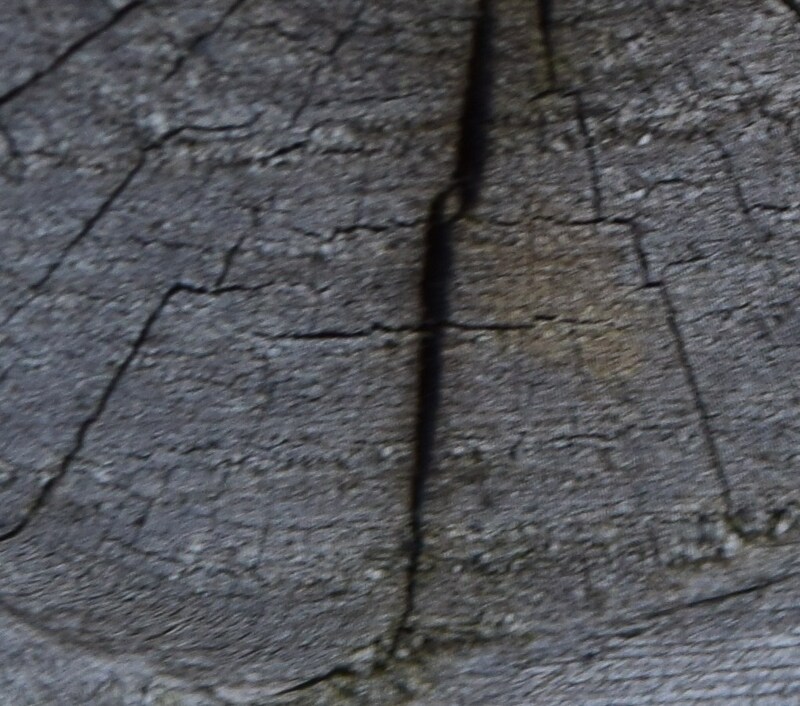 2 Wooden plank in Sigma 17-70mm macro image, cropped picture. But the macro in 17-70mm f2.8-4.5 dc is still very nice when using lower zoom, e.g 50 mm only or capture the photo from a bit longer distance (Pic. 3, 4). Pic.3,4 17-70mm f2.8-4.5 macro photo with object photographed from around 30cm distance, 70mm, f9, 1/100s, ISO 400: 3 – normal picture, 4 – cropped picture. I had my photo area shady in both cases, that caused a poor sharpness at the outcome. 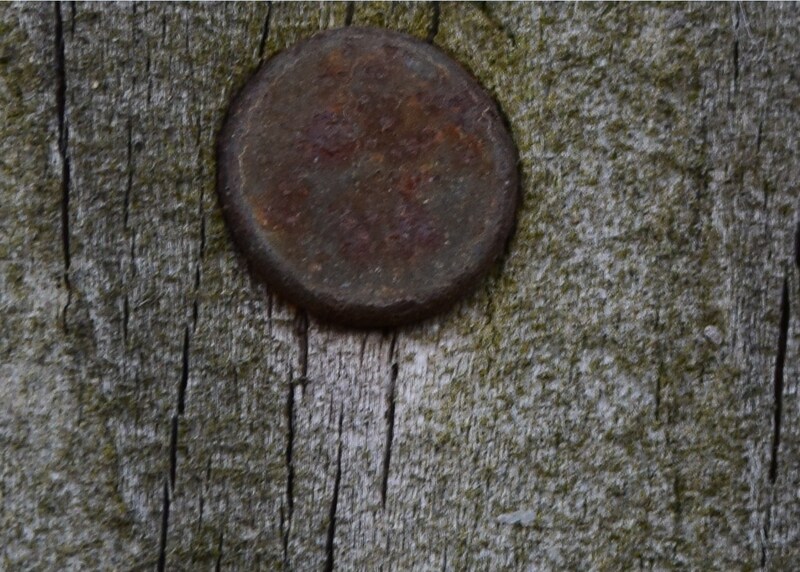 Doing the macro photos from very short distance to the object may show the chromatic aberration. 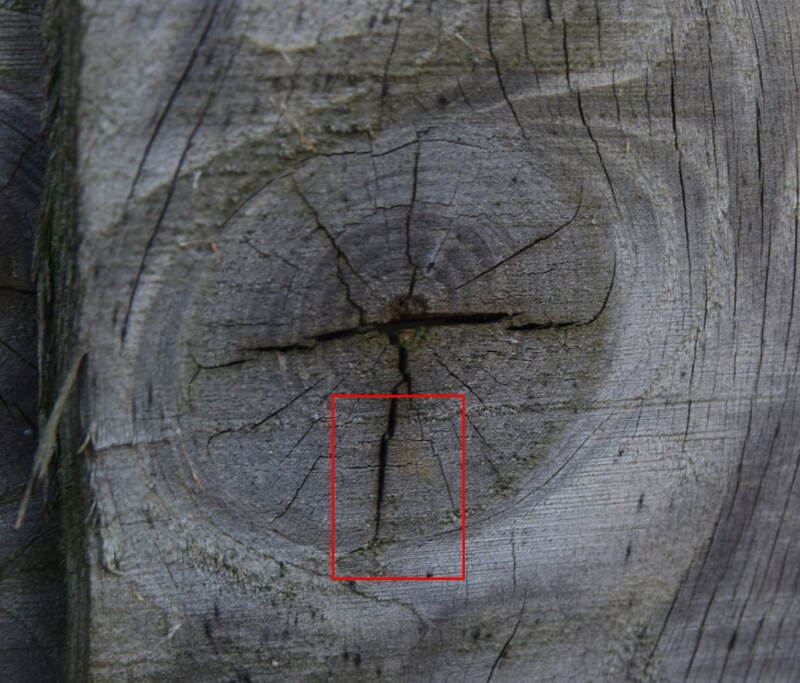 On the wooden plank example when you look on the long dark slits you can spot a bluish tint on the edges (Pic. 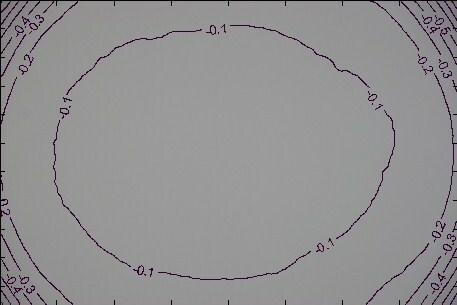 5,6). Problem dissapear when extend the distance to the object. 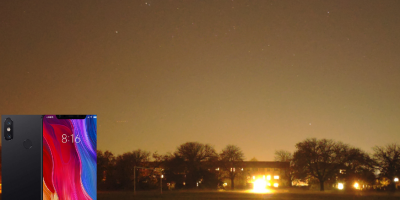 From around 30cm the aberration is practically invisible, however the picture could be sharper (Pic. 7, 8). Pic. 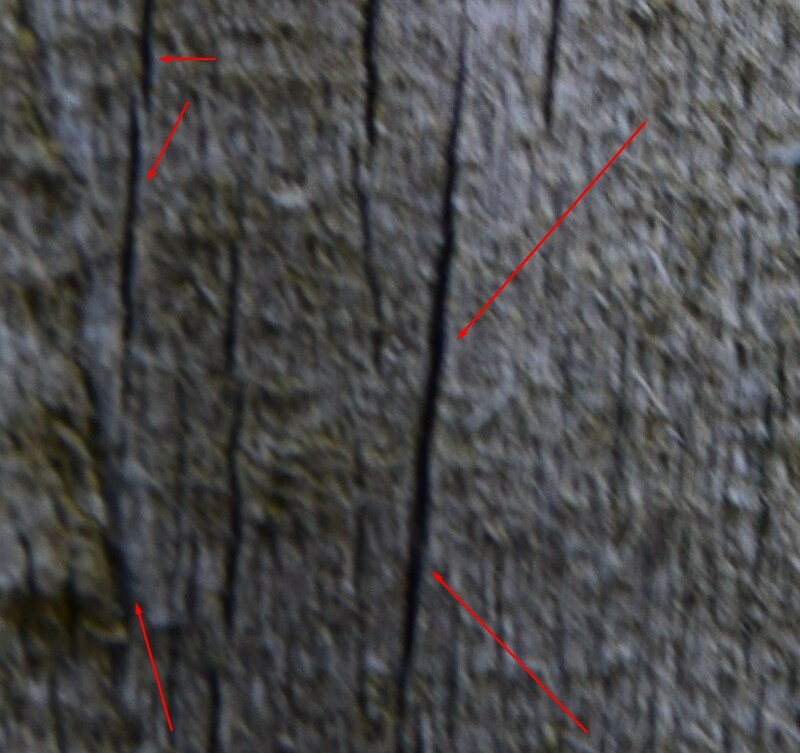 5,6 Sigma 17-70mm f2.8-4.5 macro photo with a few cm distance to the object shows the chromatic aberration, that appears on the edges of dark slits (red arrows) as a bluish tint, 70mm, 1/40s, f7.1, ISO 400: 5 – normal photo, 6 – cropped picture. Pic. 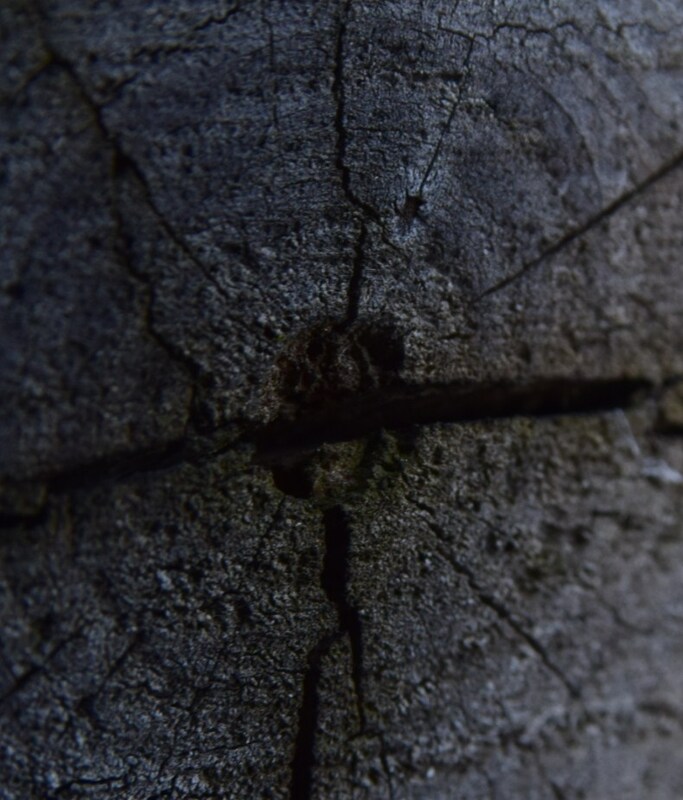 7, 8 The wooden plank with nail captured with Sigma 17-70mm f2.8-4.5 from around 30cm distance, 70mm, 1/125s, f.9, ISO 400: 7 – normal photo, 8 – cropped picture. Pic. 9 Sigma 17-70mm f2.8-4.5 Macro, 70mm, 1/50s, f.8, ISO 400, distance 5cm. Pic. 10 Sigma 17-70mm f2.8-4.5 Macro, 70mm, 1/30s, f7.1, ISO 720, distance 10cm. …and on another objects. 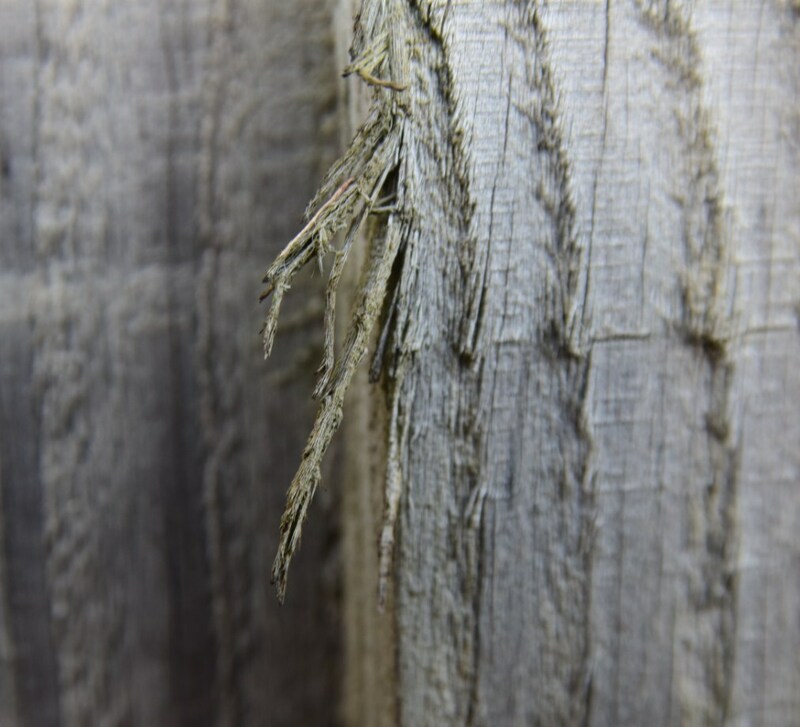 Macro photography is hard when is windy. 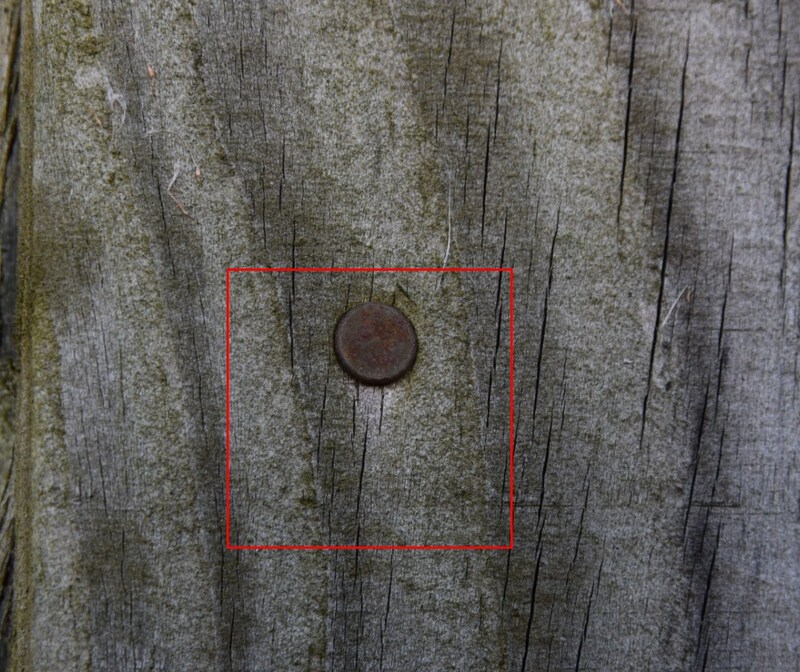 In general the sharp image should be obtained from minimum 20cm distance, but you can photo the object much closer in the reality. Pic. 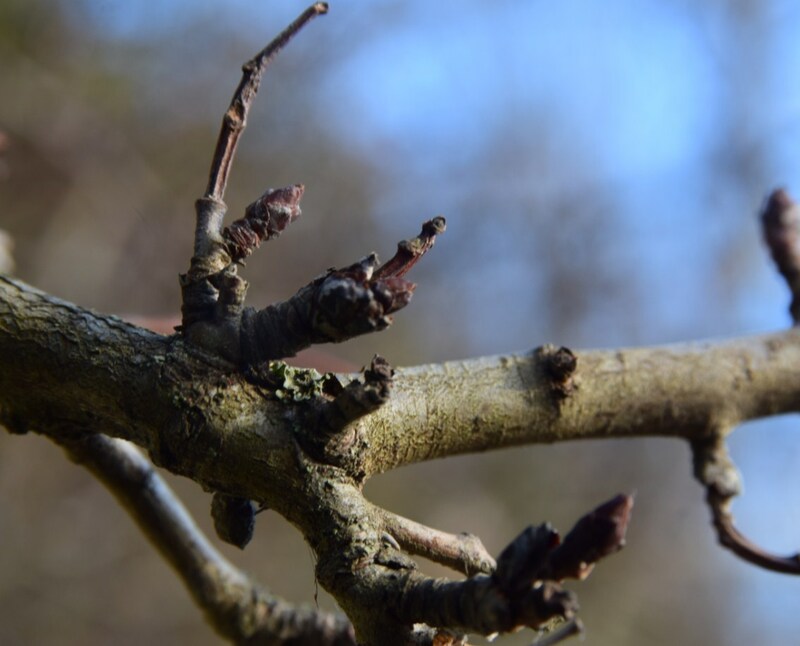 11 A poplar twig from around 20cm distance, 70mm, 1/100s f.9, ISO 400. Pic. 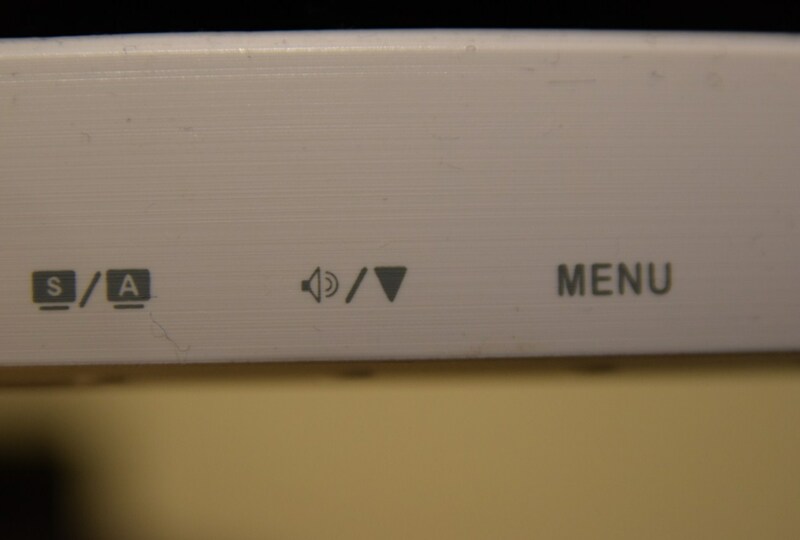 12, 13 Screen power button from around 10cm distance, 70mm, 1/30s, f.4, ISO 500: 12 – normal image, 13 – cropped image. Pic. 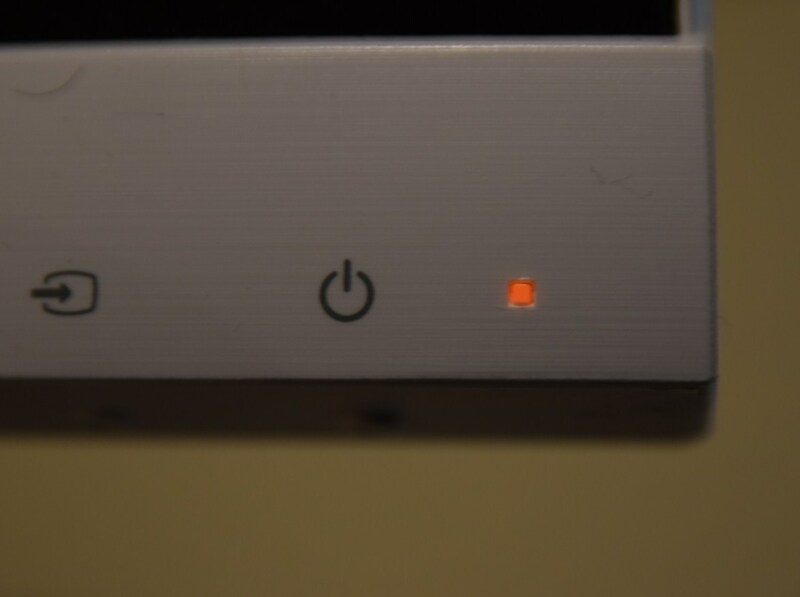 14, 15 The screen button, 70mm, 1/30s, f.4, ISO 1000. Pic. 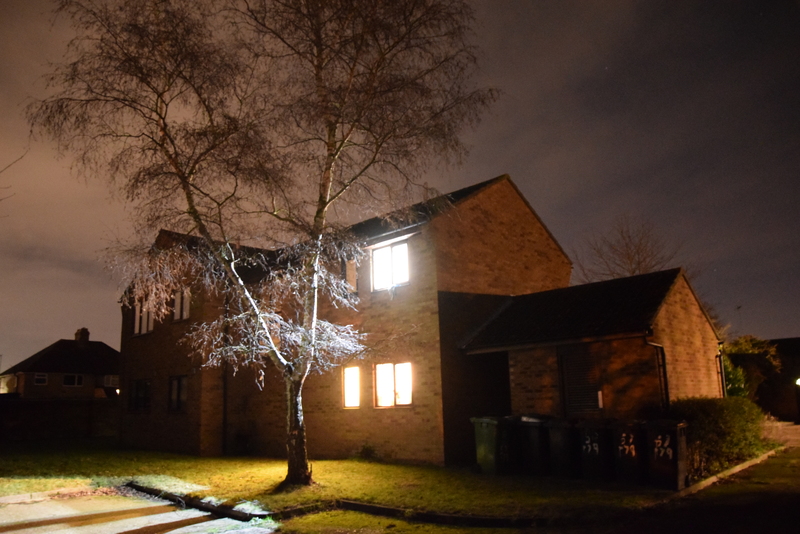 16, 17 Detached house on Corrie Road in Cambridge, 17mm, 1s, f2.8, ISO 6400. See next night photo examples taken with other aperture values up to f 3.5. Pic. 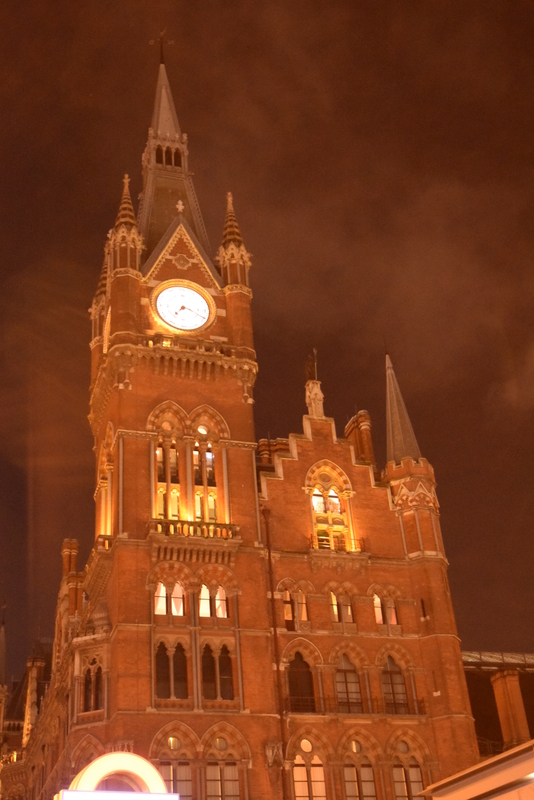 18 The St. Pancras International train station, 32mm, 1/13s, f3.5, ISO 6400. Pic. 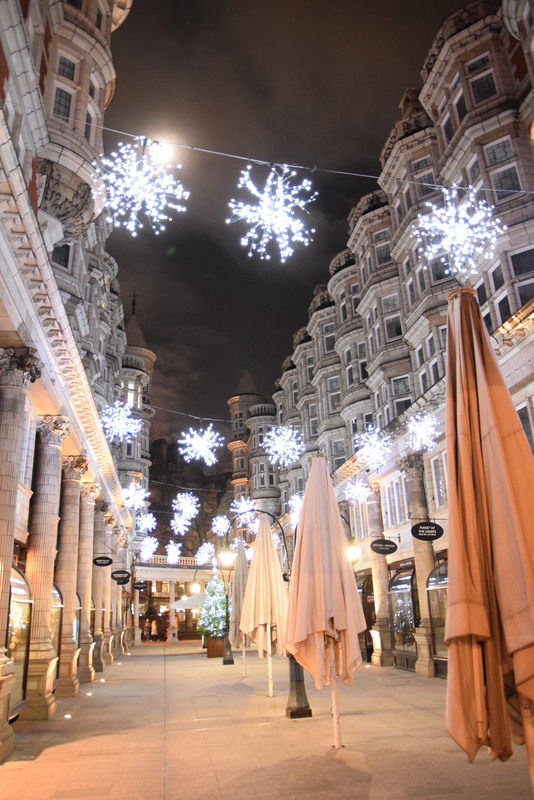 19 The Sicilian Avenue, 17mm, 1/15s f2.8, ISO 3200. Pic. 20 Radisson Blu Edwardian in Covent Garden, 19mm, 1/60s, f.3 ISO 3200. Pic. 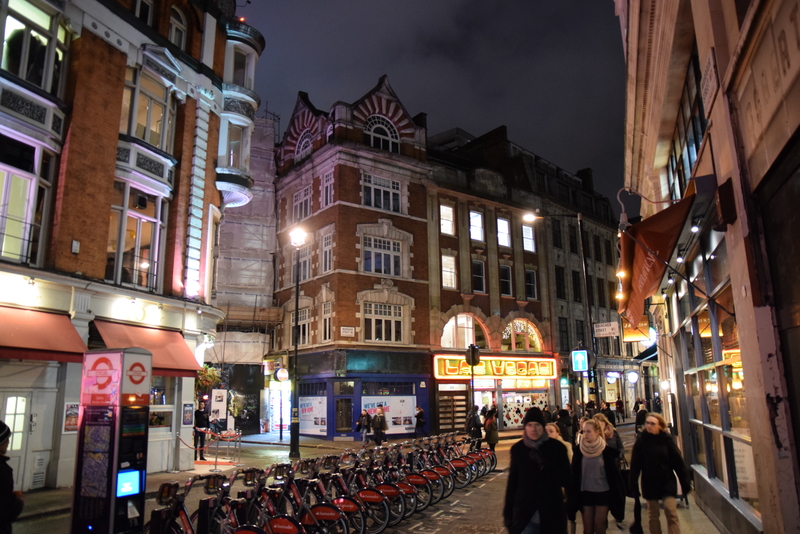 21 London – Wardour Street in Soho, 17mm, 1/15s, f2.8 ISO 1600. Pic. 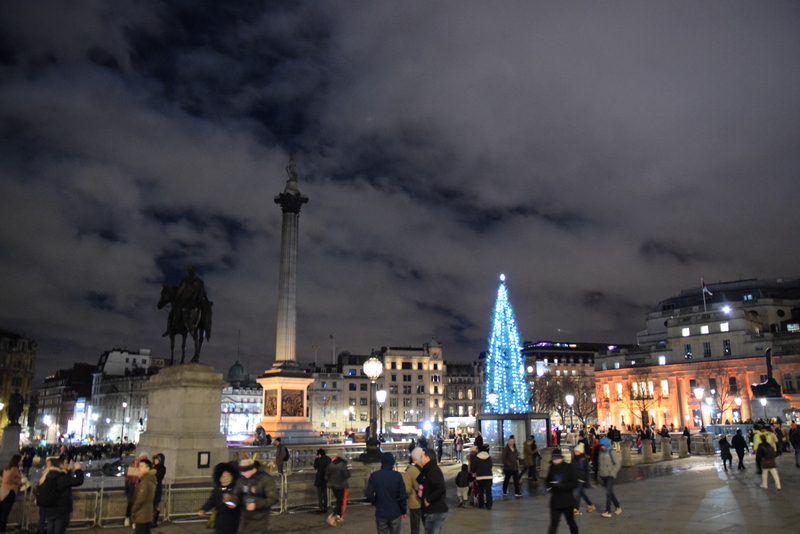 22 Tafalgar Square, 17mm, 1/13s, f2.8, ISO 3200. Pic. 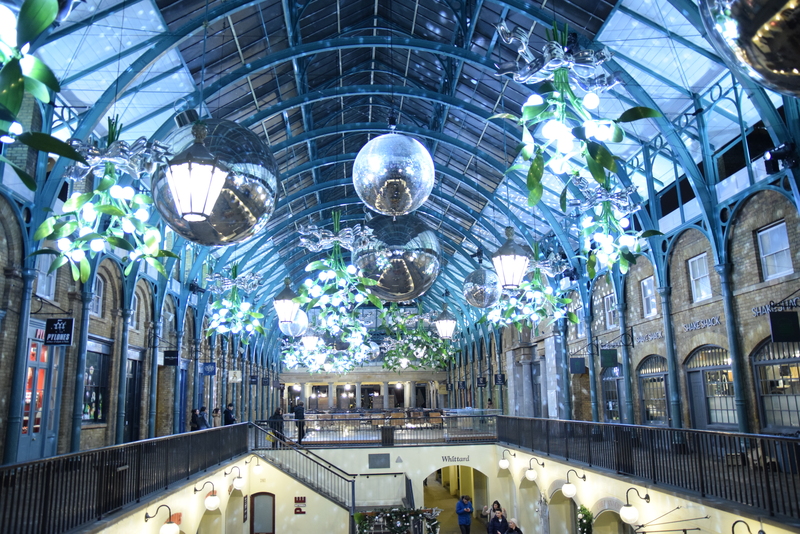 23 Inside of the Covent Garden, 17mm, 1/60s, f2.8, ISO 3200. Pic. 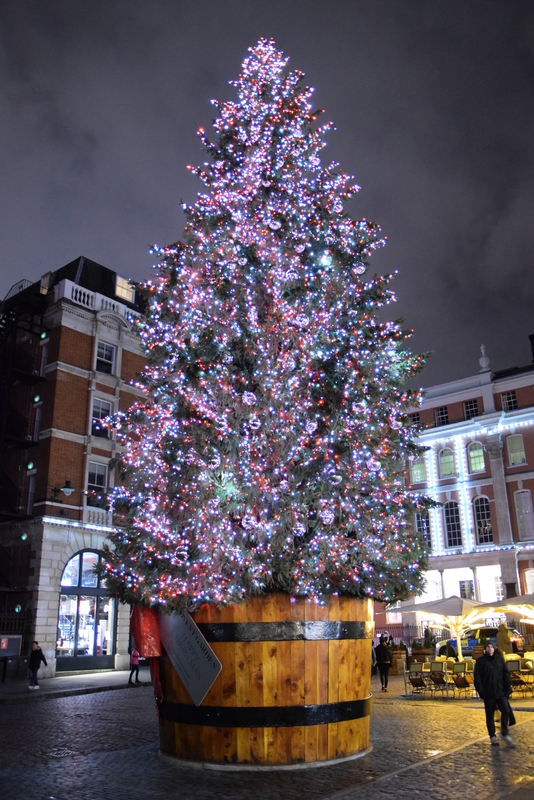 24 Big christmas tree a front of the Covent Garden, 19mm, 1/20s, f.3, ISO 3200. Pic. 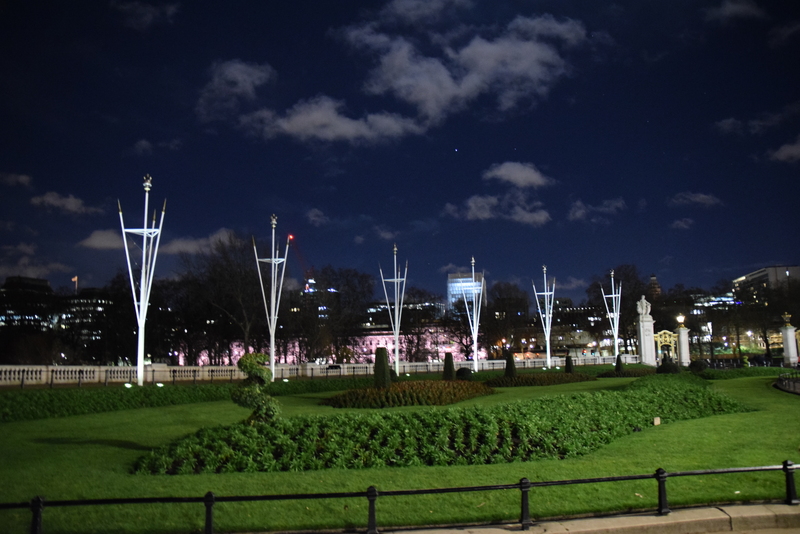 25 Near Buckingham Palace, 17mm, 1/6s, f2.8, ISO 3200. In my opinion the night photos taken by Sigma 17-70mm f2.8-4.5 DC Macro are perfect. This lens can be useful also for the amateur astrophotography. I took a few photos, which are to be seen below. Because I had got a model with broken autofocus again some pictures may not be perfectly sharp, although this is not a thing to looking at this moment. On top of that those pictures has been taken in light-polluted places, so please don’t anticipate the amazing sky photography only take a look how the f2.8 – f3.8 aperture works in night conditions. Comparing for example to the Nikkor 18-55mm f3.5-5.6 VR II your picture taken with 55mm zoom by Sigma 17-70mm f2.8-4.5 DC Macro is still much brighter. I believe, that More light for 55mm picture can provide the Sigma 17-70mm HSM models with maximum f4.0 aperture. Possibly the value should correspond to f3.6 or even f3.4 aperture instead of f3.8. Pic. 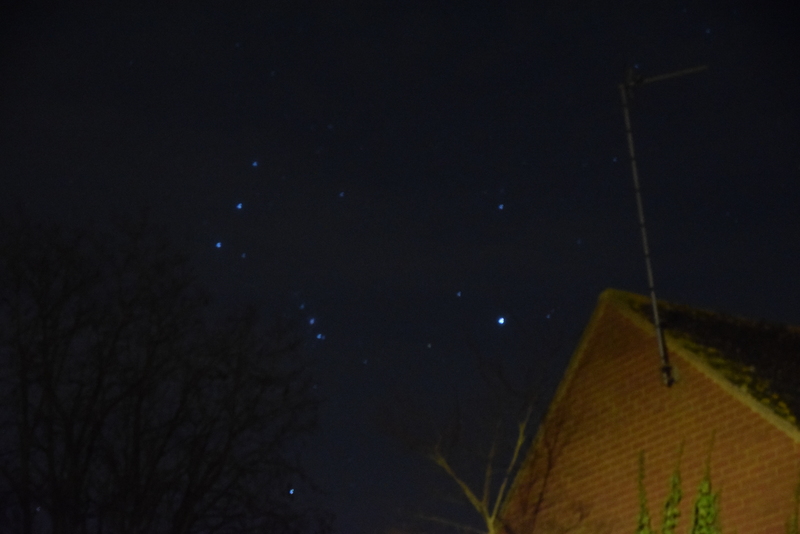 26, 27 The rising Orion constellation captured with Sigma 17-70mm f2.8-4.5 DC Macro, 17mm, 1s, f2.8, ISO 10000 upper and 25600 lower, Cambridge, Corrie Road. Pic. 28, 29 Pic. 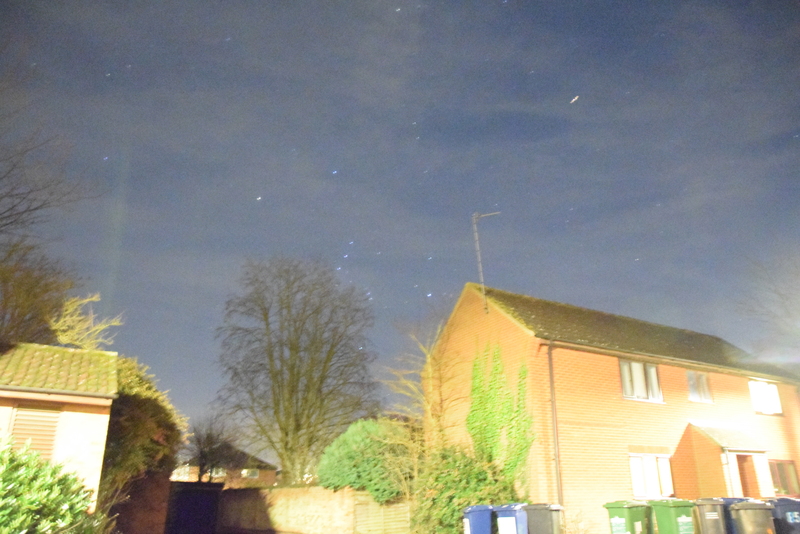 28 The rising Orion constellation captured with Sigma 17-70mm f2.8-4.5 DC Macro, 55mm, 1s, f3.8, ISO 25600 upper and 6400 lower, Cambridge, Corrie Road. Pic. 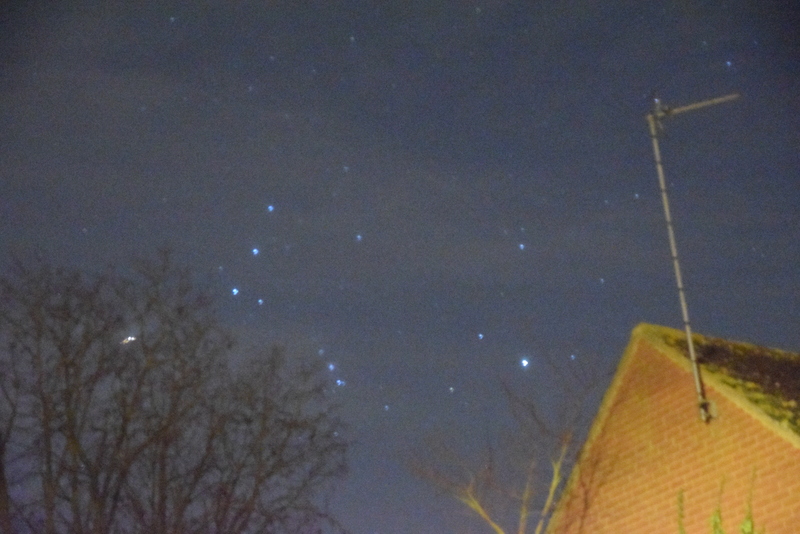 30 The bright Capella with rising whole Auriga constellation, closer to clouds you can spot the Taurus constellation with Aldebaran, 17mm f2.8 3/4s ISO 6400, Longstanton. Light fall also clearly visible (see below). Sigma 17-70mm f2.8-4.5 DC Macro has basically one, but quite big disadventage. This is a light fall, that may disrupt your photo in darker conditions. For instance when you look on the pic.30 you can see darkening area in the both top corners. 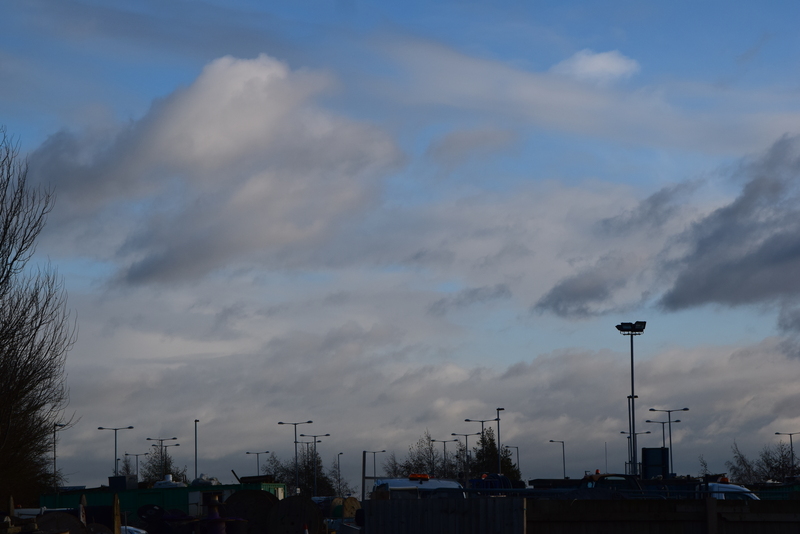 This is an example of terrible light fall in this Sigma 17-70mm lens. Pic. 31 The Sigma 17-70mm f2.8-4.5 DC Macro ligh fall drawback in several combinations (optyczne.pl). Pic. 32 The Sigma 17-70mm f2.8-4.5 DC Macro light fall for 17mm zoom graph (optyczne.pl). 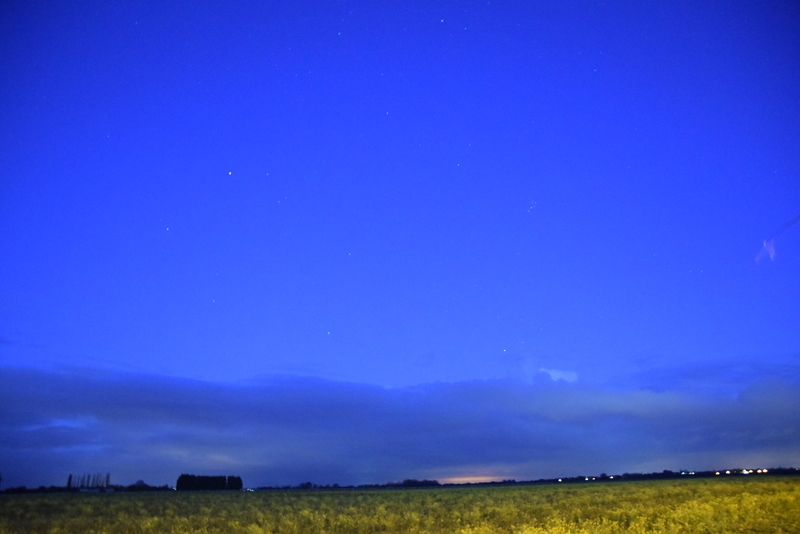 The light fall in Sigma 17-70mm f2.8-4.5 DC Macro for 17mm is terrible. 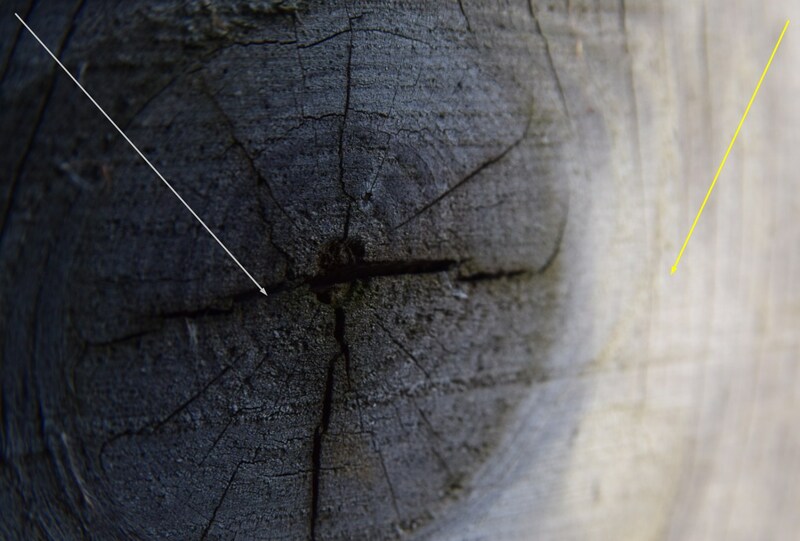 To avoid this disadvantage you must change the aperture or zoom (Pic. 31), although you cannot get rid of this totally. 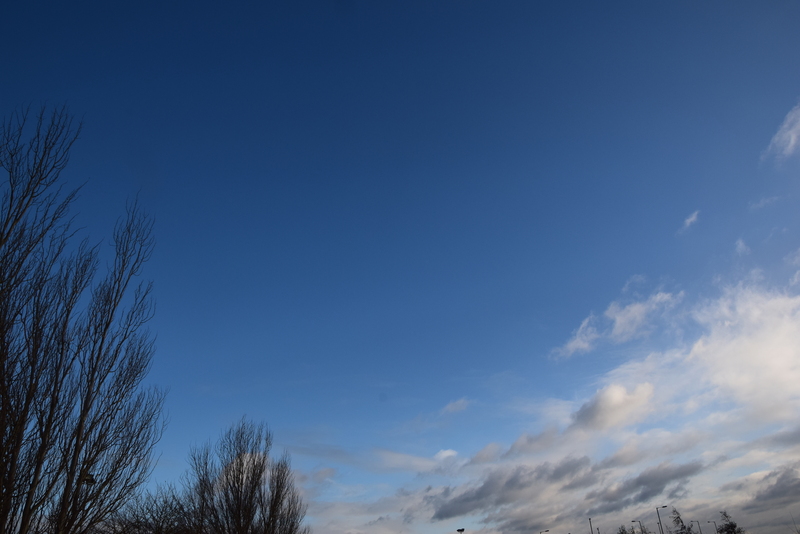 Probably the best combination is 50mm f5.6, but most of pictures, that I used to make has been taken with 17mm zoom. Pic. 33. 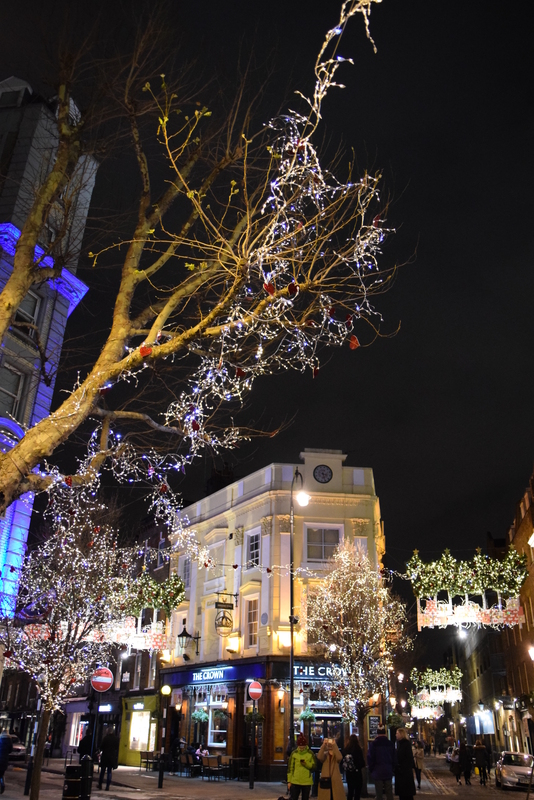 The live light fall example in Sigma 17-70mm f2.8-4.5 DC Macro, 17mm, 1/30s, f2.8, ISO 500. The yellow wall lit with LED. 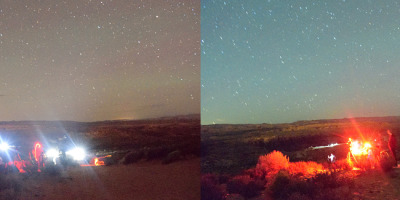 Pictures taken in artifical light conditions shows a strong light fall feature. 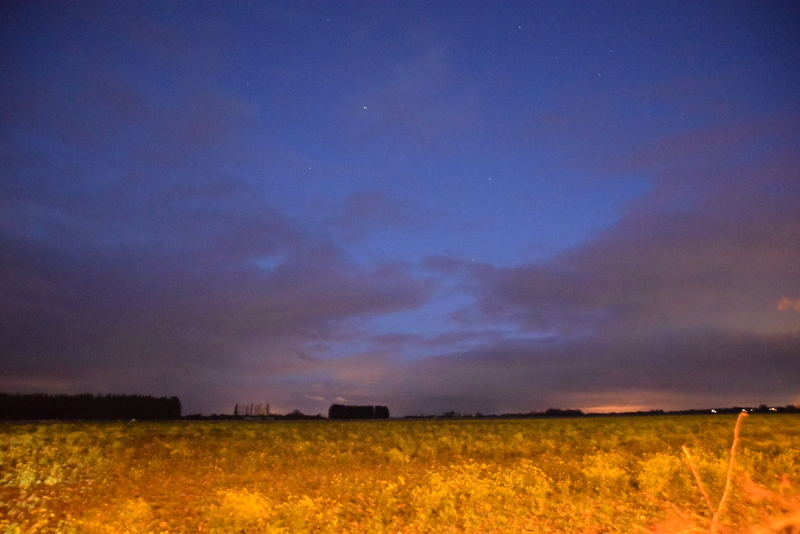 The light fall in Sigma 17-70mm f2.8-4.5 DC Macro appears when your framed area is dark and quite plain-coloured (Pic. 30, 34, 35). Pic. 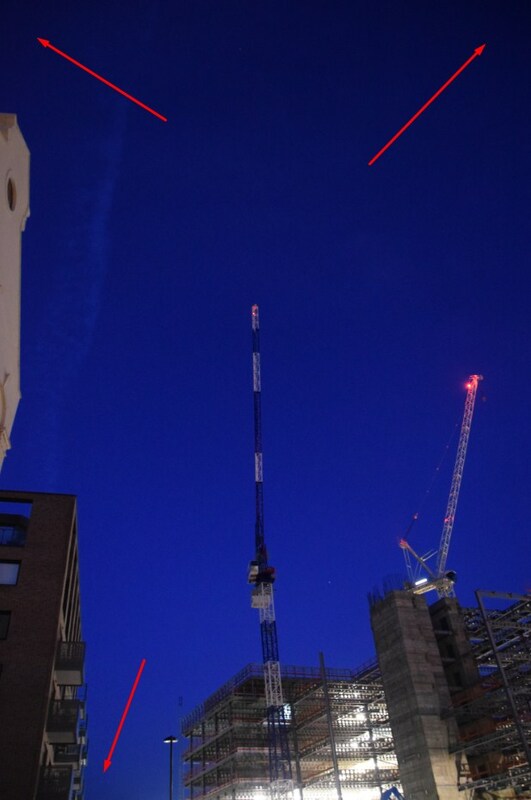 34 Cambridge, Station place; 17mm, 1/10s f2.8, ISO 1600, light fall marked with red arrows. Pic. 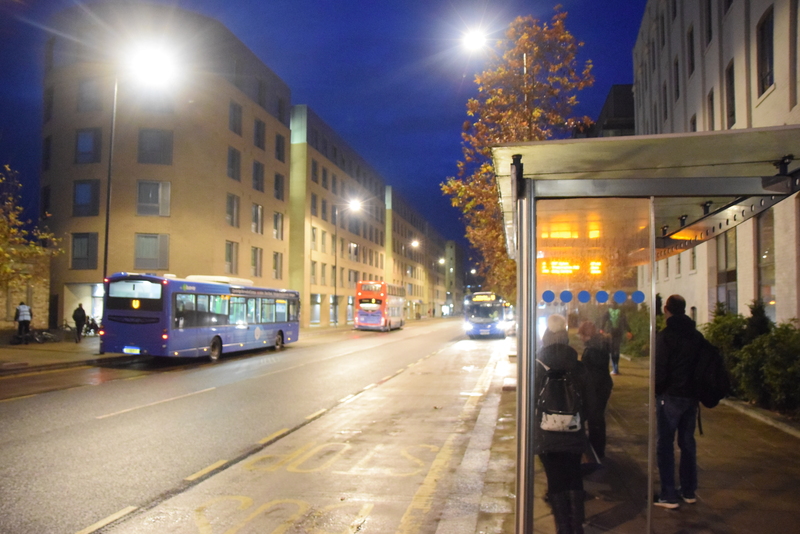 35 New block of flats in building progress near Mill Park Road in Cambridge, 17mm, 1/8s, f2.8, ISO 3200. 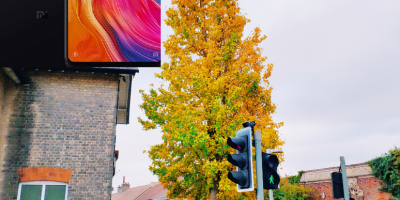 When your capturing view includes many objects with different level of light the light fall feature dissapear or at least is much harder to see (Pic. 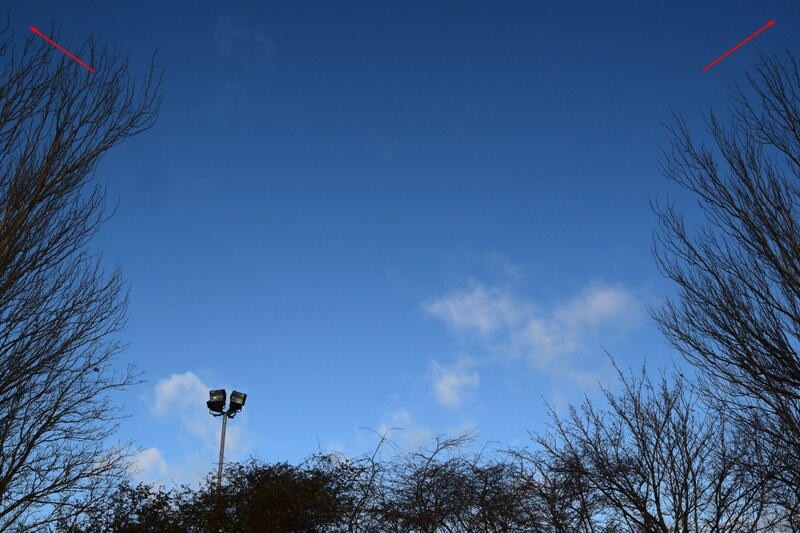 36) likewise to strong light conditions during the daytime (Pic. 37-39). 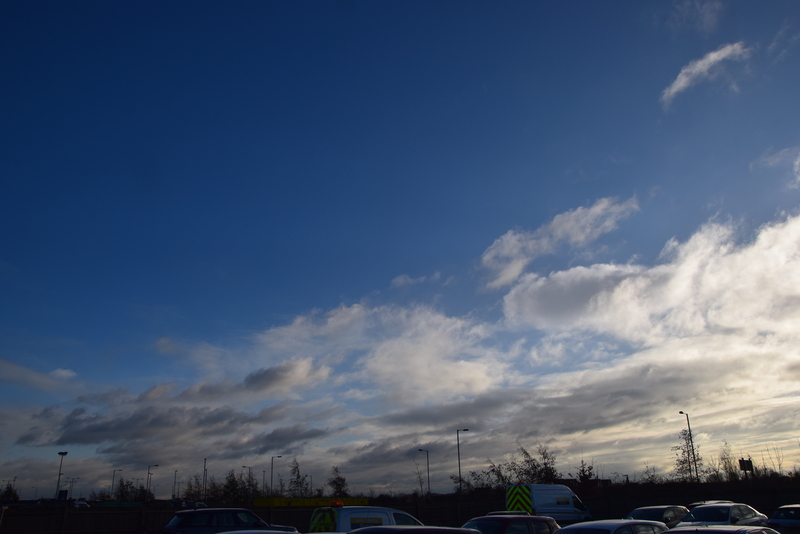 However there are some exclusions, especially when our framing area is on the opposite side of the sunlight (Pic. 40). Pic. 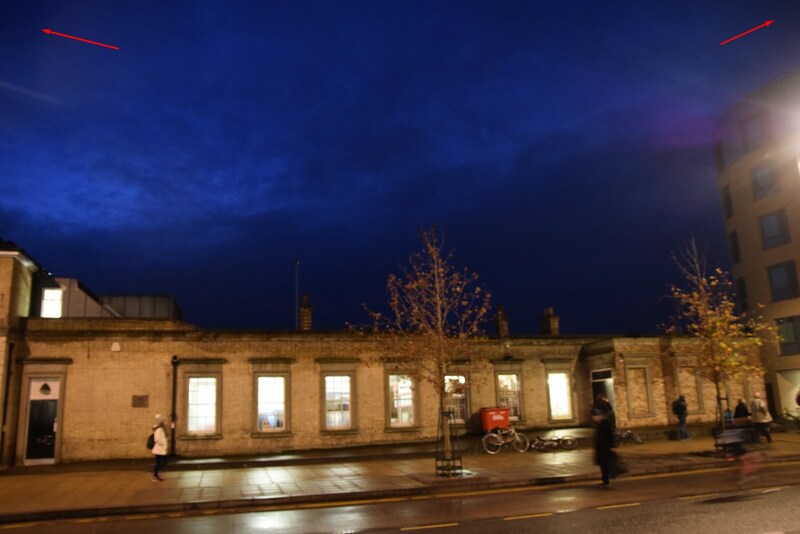 36 Cambridge, Station Place, 17mm, 1/40s, f2.8, ISO 6400. Pic. 37, 38, 39 – Working the Sigma 17-70mm f2.8-4.5 DC Macro in daylight – no light fall at all. Pic. 40 Sigma 17-70mm f2.8-4.5 DC Macro light fall live example in daylight when capture the sky on the opposite side of the sunlight. 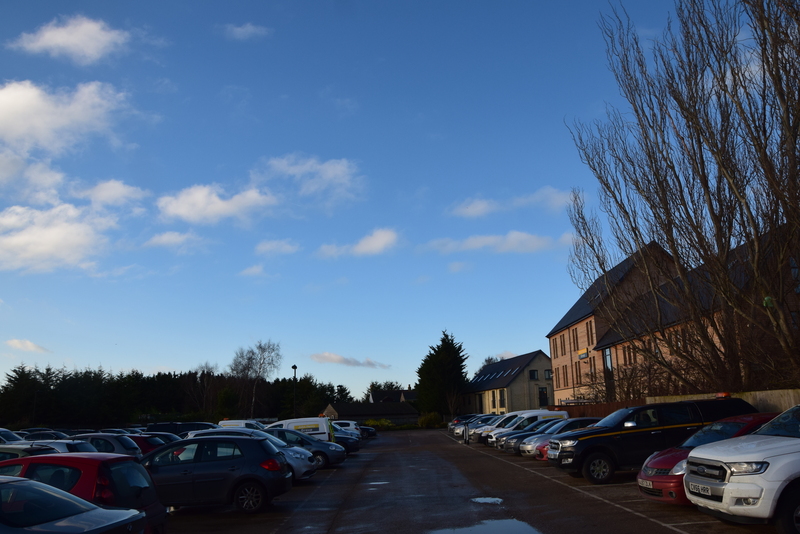 Even when we spot some darkening in the corners of the picture taken in daylight conditions not alter the fact, that strong light prevent the photo from darkening feature unless you will select small aperture and very short exposition. Except of the light fall, that can be a nightmare for the Sigma 17-70mm owners this lens is pretty good and worth its price. Big advantage of the Sigma 17-70mm f2.8-4.5 DC Macro is undeniably bigger aperture and bigger zoom range unlike to another kit lenses, that can offer not more than 50-55mm. At the finish I would likle to show you a few image examples done by Sigma 17-70mm f2.8-4.5 DC Macro. Pic. 41 John Henry Group, Longstanton; 17mm, 1/320s, f.10, ISO 400. Pic. 42. 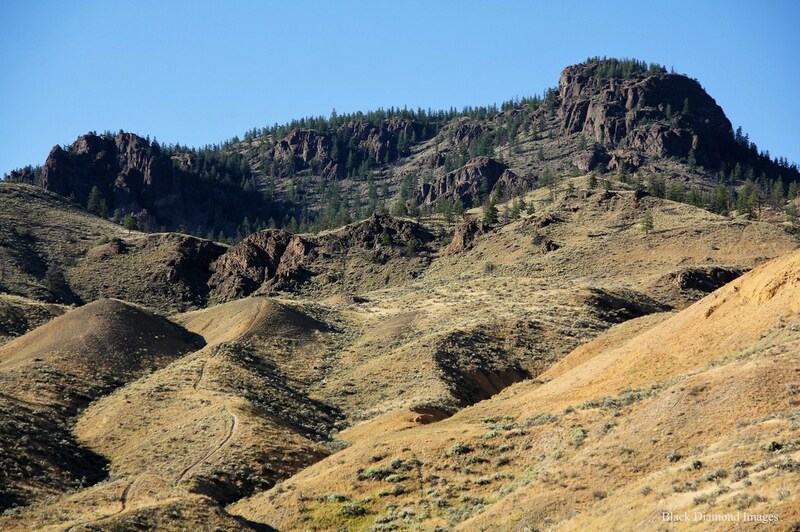 Black Hilltops across Kamloops Lake, British Columbia (flickr.com). Pic. 43. 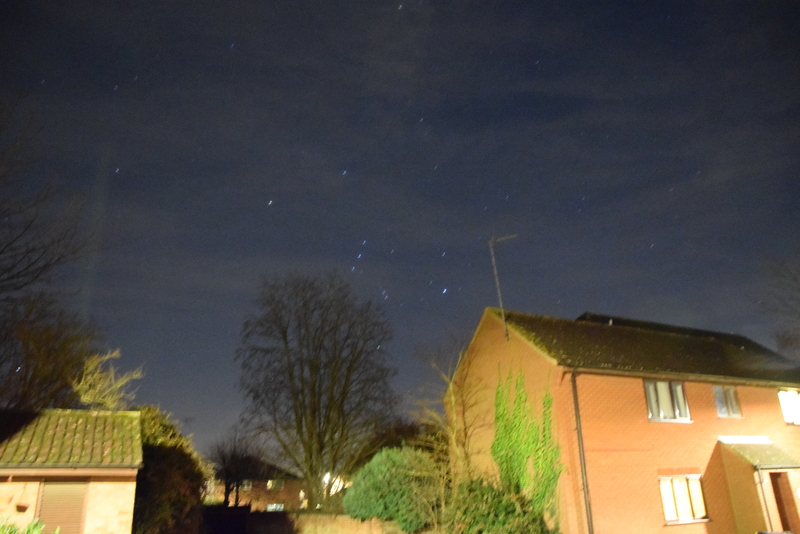 Evening in Longstanton, 17mm, f2.8, 1/2s, ISO 10000. Pic. 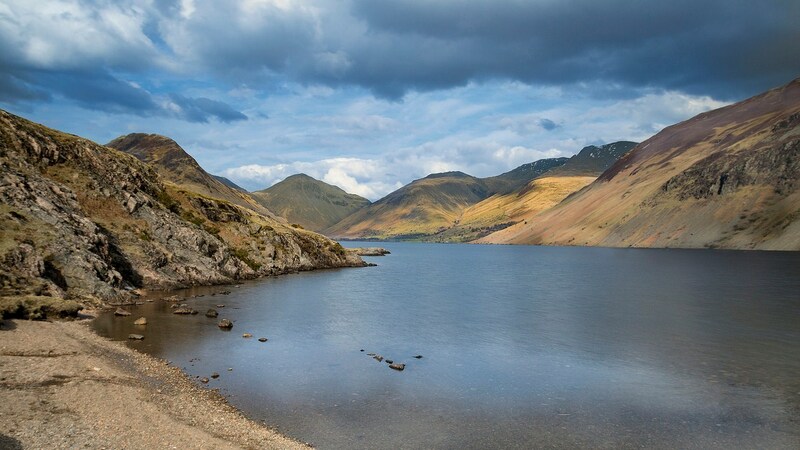 44 The Wast Water in Lake District National Park (flickr.com). Maybe you will be dissapointed with quite poor explanation of this sigma lens. I could enjoy it for only few days. I give you a few links below, where you can get more info about Sigma 17-70mm f2.8-4.5 DC Macro detailed functional and test, that has been done throughout over 10 years when this lens has been relased. 2. Ephotozine.com: Sigma 17-70mm f2.8-4.5 DC Macro review with photo examples. 4. Photoreview.com.au: Sigma 17-70mm f2.8-4.0 HSM Macro review and specification.